I engaged Pixelrush to build my e-commerce website and am very happy with the results. Byron and the team worked tirelessly, with great honesty and integrity and they always go the extra mile to deliver to their high standards. Byron always responds to my queries quickly and explains concepts thoughtfully and with detail. PixelRush have been a saviour to me . I had been with 3 other web designers over a period of 6 months and I was pulling my hair out . I had already spent thousands of dollars only to be left with two different websites that were not what I wanted. A client recommended PixelRush to me, as they had worked with her business too, and because I trust her recommendations she then put me in touch. Our journey was a breath of fresh air. We worked together over about 5 weeks, the team would email or call and I would send back what they needed. PixelRush were on point all time with interesting ideas and always thinking what would work best for me. They listen, which is great, and really go the extra mile. I have ended up with a beautiful website that I get comments on every day. It was painless and very productive and we continue to work together improving our SEO and online enquiries. We recently engaged Pixelrush to review our under performing website and SEO. We thought it was optimised and had checked lots of things. Turns out it wasn’t a squarespace issue that we had been told by others. Byron reviewed the site, made some changes and within 24 hours we went from on page 3 to 5 for major keywords up to first page organic (top 6). You must use a professional for SEO and you must use Pixelrush. Fantastic service! I would highly recommend PixelRush to anyone who wants to properly optimise their website and drive traffic that converts. Byron is a fountain of knowledge; he’s dedicated and always ready to answer your questions. I love that PixelRush is all about qualified traffic and conversions, not vanity metrics that may look nice but don’t actually help to get people to take action on your site. 10/10. Our original website needed a face lift, being new business owners we didn’t know where to start! Websites are so important and we needed it to be done well and professional, we were lucky enough to have been put onto PixelRush! Having our new site up and running made such a difference and has increased our online sales and bridal inquiries by a staggering amount! Thank you for our wonderful website! 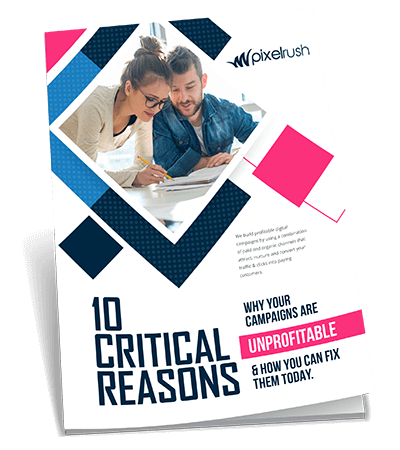 Over the years we have tried a number of SEO providers however, none have managed to deliver and provide a service as great as what Byron at PixelRush has been able to offer on an ongoing basis. Byron is very passionate and professional about what he does and certainly delivers! We are very happy with the results he has generated for JMA Credit Control and we have no hesitation in highly recommending his services to others. This is just a big thank for your professionalism in assembling and launching our website. It was a pleasure to work with PixelRush because of their creativity, understanding, flexibility and efficiency. We are already seeing the affect on business from our new site. I highly recommend their work, as I always do, to any prospective client. Thank you very much once more.